A special thanks to Villanova Athletics for hosting an open house at the Finneran Pavilion! 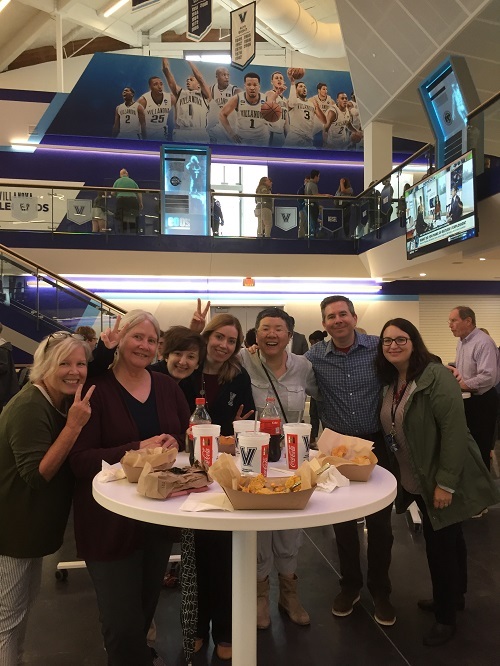 Falvey Memorial Library staff had an awesome time touring the new facility, eating too many nachos, and talking with Coach Wright. We can’t wait to see the men’s and women’s basketball teams take the court – GO CATS!